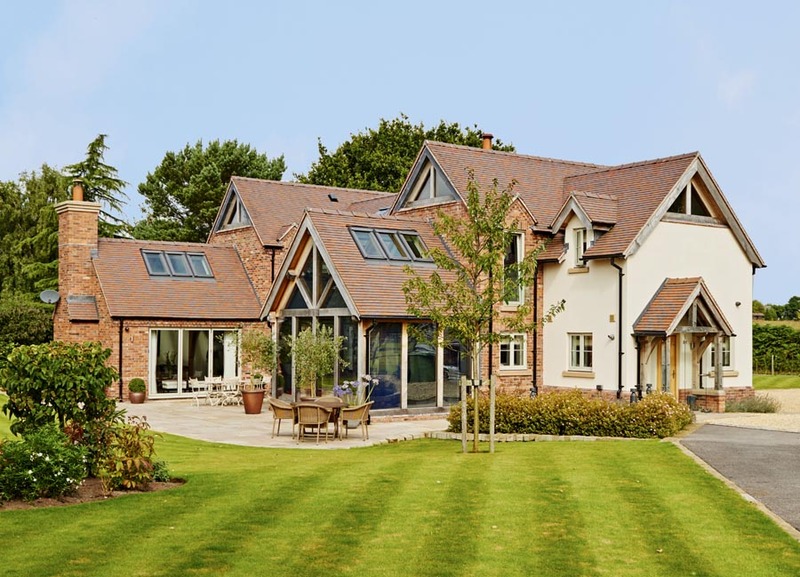 After years of living in a cramped cottage that didnt suit their needs, the Lawsons knocked down their house and developed a stunning oak framed house instead. They were looking to build a quality house with quality materials and they felt that getting the right tile/brick combination was key to the success of their project. 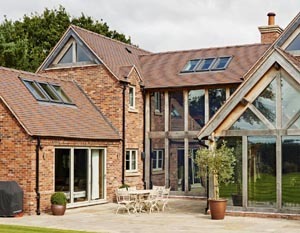 Self builder John Lawson explains" We had decided to use a specific brick by Furness (ember blend) and we were looking for a "red" roof tile that complimented that particular brick colouring as well as the oak frame. The house we demolished had a "Cherry" red tile and the planners wanted a similar look. The stables that were to remain untouched also had the same tile colour as the old house so it was important to find a tile that complimented the build and did not "clash" with the stables. " "We came across Dreadnought Tiles at a house building exhibition and we asked for some reference sites to view. 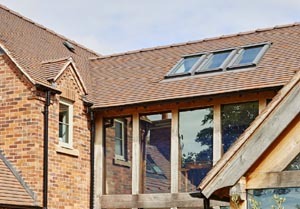 We found it very helpful seeing actual finished roofs and we settled on Dreadnought's Collingwood blend. It goes extremely well with the brick and very much compliments the oak framing. The roof tiles have a sanded finish and the blend of colours tones down the overall effect perfectly. We are delighted with the result. 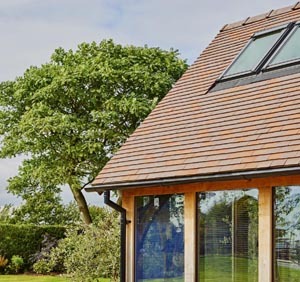 We had some "square" ridge tiles specially made to match the stable ridges rather than the rounded variety for the house, (this was a special order but well worth the wait). Since finishing the house we have been amazed by the number of people stopping outside to ask what tile manufacturer and blend we have used! We are really pleased with our choice. We also decided not to have visible lead valleys. Whilst this added to the cost we think it adds greatly to the overall look of the roof."